We would like to invite you out to participate in our new Youth Soccer Clinic. Players 6-12 years old are welcome Free of charge so skip the Camps that cost an arm and leg for this fun informative training clinic that will prepare your child for next season. Our group of highly experienced professional coaches have decades of experience as players, coaches and mentors. They will be hosting this free clinic on Fridays with emphasis on the following drills and techniques that will help improve your child's fundamental skills and intelligence for the game. Each clinic will begin with a warm up and stretching routine followed by the techniques and drills for the day. Hosted by the professional coaching staff at Players Soccer Club. No need to sign up or be registered in the league. Simply come out and participate. Ask For Coach Marco. Players SC implements a comprehensive structured training program that is a culmination of over 45 years of my soccer experiences at the highest levels of playing and coaching. The mission is the same, to help develop highly skilled players capable of playing high quality attacking soccer with confidence in their abilities and freedom to express themselves in the game and play without fear of failure. The club now takes pride in having programs to develop players for the US National teams and to assist them in pursuing professional soccer careers in the US and overseas. Presently with one player at the US Youth National residency program in Florida and former players playing in the nation's leading colleges such as University of North Carolina, UCLA and University of San Diego, the club is well on its way to re-establish itself in the list of elite clubs in the country. PLAYERS COLLEGE SHOWCASE Tournament Committee invites you to join some of the nation's top boys and girls youth teams and over 400 college coaches for a spectacular soccer event in Las Vegas. 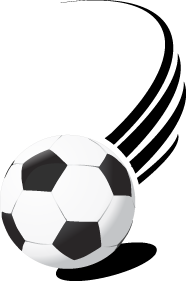 The PLAYERS SHOWCASE tournament is held in conjunction with the USYS National League. Over 500 teams representing the nation's best players including 96 teams representing the USYS National League will compete in this year's event. Over 400 college coaches and scouts will be on hand to evaluate talent.